This text is designed to introduce undergraduate students to the central concepts of fashion trend analysis and forecasting. Exploring the roles of both consumers and industry personnel as product developers, gatekeepers, and promoters of fashion trends, the book demonstrates how and why forecasting is vital to successful product and brand development.Fashion Trends: Analysis and Forecasting covers a wide range of key topics such as the impact of fashion consumption on the environment, economic development, and socio-cultural change as well as the impact of social responsibility and the digital consumer on current fashion trends. Designed to aid teaching and learning, each chapter includes key words, summaries, engaging case studies, discussion questions, and suggested class activities. 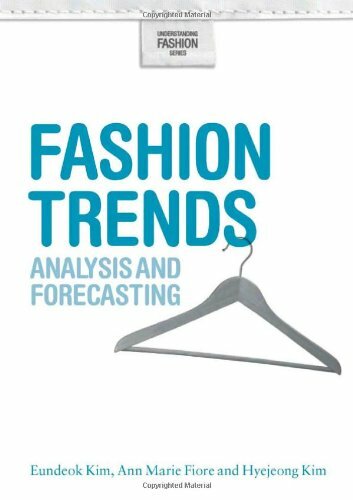 Using this book as a guide, students will develop an understanding of the process, methods and influence of trend analysis and forecasting for the fashion business and will be encouraged to think through the core issues creatively. An essential text for students of fashion and design.